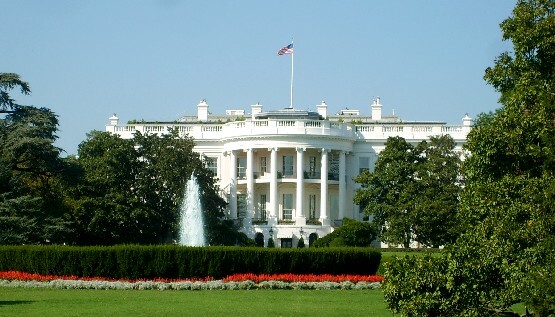 The home and offices of the US President are at 1600 Pennsylvania Avenue. The road is now closed off for vehicles, but pedestrians can get right up to the fence for a good view at the front. The rear isn’t so easy to see, but the White House is sort of double-sided, so it doesn’t really matter. You generally can’t do tourist tours anymore unless you’re a US citizen and you’ve planned a group trip, but we’d recommend the White House Visitor Centre which is free and gives a good introduction to what the building is all about. You’ll find it just down the street at number 1450. This is an extract from our free Washington City Guide. The White House Visitor Centre is open daily from 7.30am to 4pm and inside you’ll find models of the White House and informative videos about how the building serves as both a home and a workplace. You’ll learn a lot about the additions over the years too. For instance, did you know that the White House has it’s own bowling alley? Rules for visiting change regularly depending on the security situation. 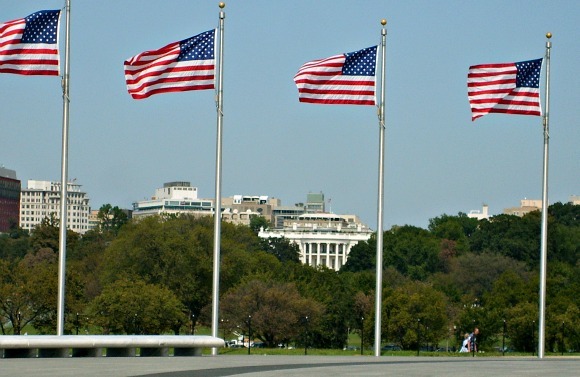 At the time of writing (2010), foreign visitors can request a tour through their own embassy in Washington whilst US Citizens can get tours through their member of congress. The details are updated here.